Doesn't look to bad honestly. WOW, how did you scoop Haven on this? I like, just not sure it fits our uses. I'd still need a real pickup with a 8ft bed. If I was in need of a 4dr wrangler anyways, not sure if the pickup or standard would make more sense. Regardless, stoked that this seems like it is actually going to happen. I was hoping for a slightly shorter bed honestly so that I could keep the breakover angle of the existing JKU and maybe only gain 6-9 inches over-all. The bed looks too much like a "real truck bed" and not like the Crew Chief 718 bed... but I still like it. It looks like it's a metal bed, not a metal/composite hybrid like a Tacoma... I wonder if how much of it is steel and how much is aluminum. My biggest complaint? Not enough pictures! =oP Glad to see it's out in testing though, hope to see more and more of these in the coming year. Edit: The more I look at the pictures the more I think it just has a Dodge bed on it for proof of concept and that the "bed design" isn't complete for the Jeep. I'm expecting fenders like the front and that really looks a bit long for the frame. I think the bed is there just to get a feel for the bed with the engine. yeah, totally a dodge bed. note location of the wheel within the wheel well and whatnot. doesnt look anywhere near final. I've always liked the Brute, but the price tag was always way too much to swallow. I think this is going to be a great option for those who want a Jeep truck but don't need the Hemi upgrades. I just hope they eventually put the ecodiesel in the new Wrangler truck. That's what I noticed. Kinda hope they square up the bed more and keep the taillights more "Jeep-like"
Actually we just have to see a Jeep pickup produced first. I for one am not holding my breath on actually seeing Jeep pickups at the dealership. Hopefully I'm wrong because I would love one with a diesel. I would love to see a standard cab version of this produced....no one makes a truly small pickup anymore and I think there's a big market out there for them. It would offer a larger bed on the same wheelbase. 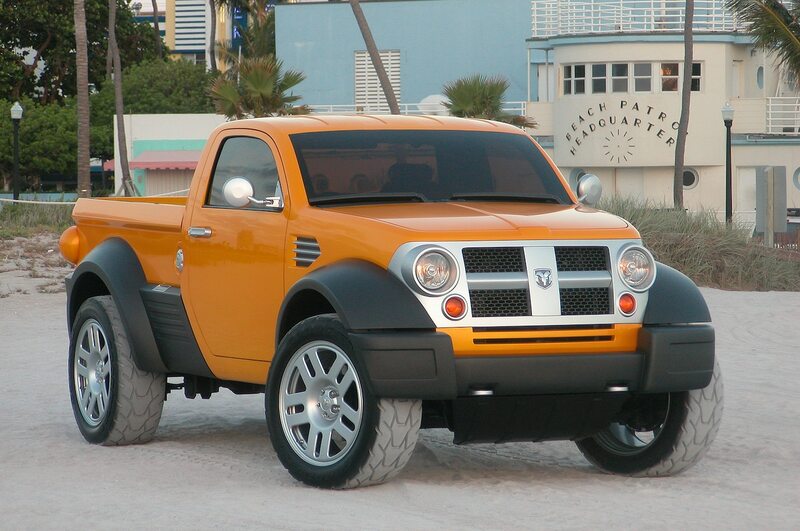 And it would certainly keep more in line with history from the Willys to the Gladiator and J series up to the Comanche and look more classic, maybe look like a modern TJ Brute or a Scrambler.....mmmmmm..... At the very least I'd like to see an extended cab variant like the Gladiator concept a while back. In any case super stoked to finally be reviving the Jeep pickup!